ANTHONY JOSHUA has revealed the “massive” sense of disappointment he felt when Wladimir Klitschko announced his retirement and ended their plans for a rematch in Las Vegas. The IBF and WBA heavyweight champion had been expected to defend his titles against Klitschko in a lucrative match-up at the T-Mobile Arena on November 11. Klitschko’s unexpected announcement, at the age of 41 following his stoppage defeat by Joshua at Wembley, surprised the boxing community as much as Joshua, particularly as he believes the Ukrainian had more to give. Immediately after April’s fight Klitschko insisted he could have finished Joshua after heavily dropping him in the sixth round and had made a mistake by remaining patient. He was also widely praised for his resilience and impressing despite defeat, and when Joshua was asked of the disappointment he felt when he was told the news about Klitschko, he told Press Association Sport: “Massive. It was probably even a disappointment for his management, his trainer (Johnathon Banks). “(Floyd) Mayweather’s the same age as Klitschko (the American is actually 40), Mayweather’s still going strong; Klitschko still had a good fight in him (in April’s defeat) and I’m sure he’s still got a couple of other good fights in him. “In my heart of hearts I kind of knew he probably wouldn’t fight again. He was saying how obsessed he was with becoming heavyweight champion of the world again. “If you fail at the first hurdle, you go again; you knew from my side I was ready for a rematch, making it clear that if he wants to go again, we’ll go again. Despite establishing himself as the finest heavyweight of the modern era throughout a career in which he secured his financial future, many observers were surprised Klitschko chose not to fight one last time given the significant money on offer. 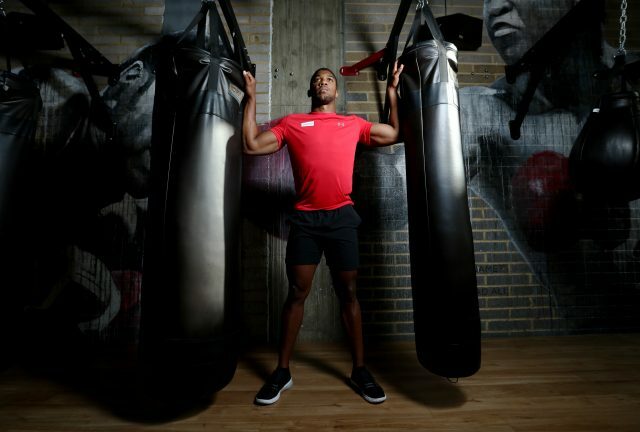 Anthony Joshua during a photocall at BXR London. Joshua is awaiting confirmation of the date and venue to fight mandatory challenger Kubrat Pulev, with Cardiff’s Principality Stadium on October 28 the favourite ahead of Vegas on November 11, but still understands why Klitschko retired and hopes to take advice from him in future. “Take the financial side away: this is a sport when you get damaged mentally and internally,” he said. “It all looks good on the outside, but he’s put his body through so many years of impact. “He’s quite intelligent so has other things to keep him busy, other interests outside of boxing, so he can make that decision comfortably with retiring and focusing his energy on other things. :: Anthony Joshua was speaking as part of StubHub’s The London Manathon campaign together with Eddie Hall, World’s Strongest Man. Tickets to see Eddie Hall at the Giants Live: Official World’s Strongest Man Tour Finals are available on Stubhub.co.uk.